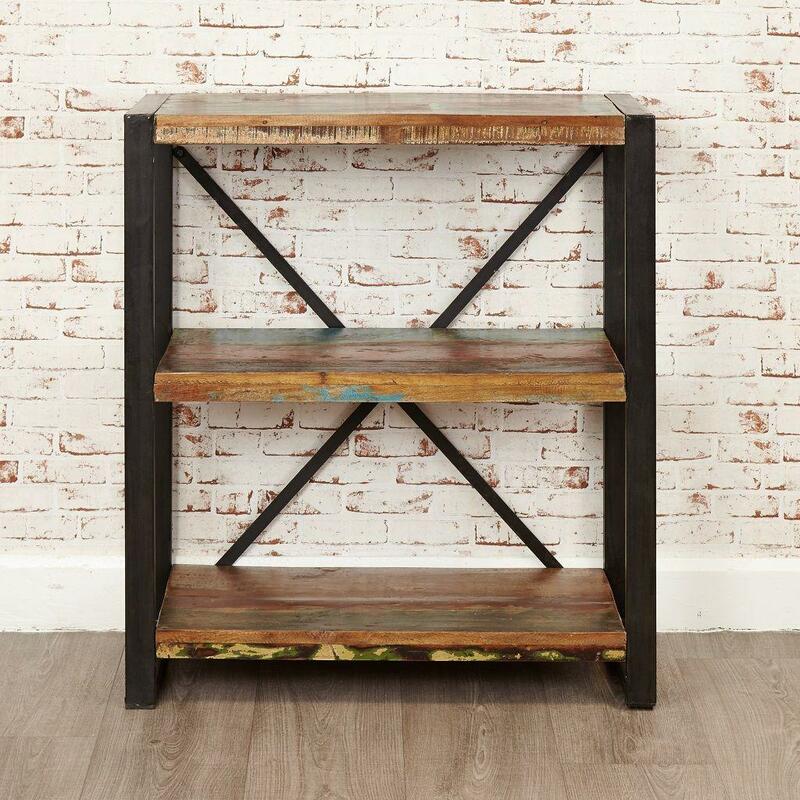 This Industrial Chic Low Bookcase is perfect for the smaller space. Half the height of the Large Open Bookcase it provides plenty of storage with its two large fixed shelves and extra "open" top shelf. 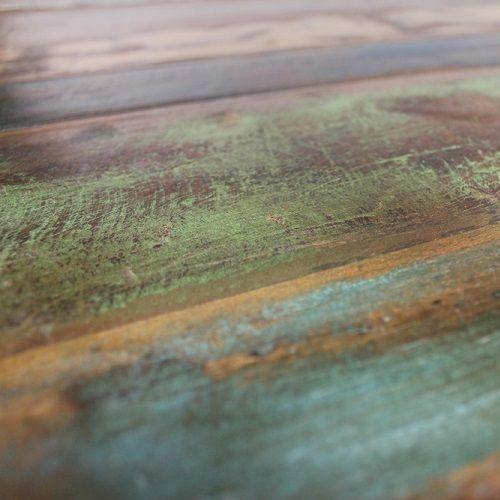 Made using reclaimed wood salvaged from old boats and buildings in India, each piece in the collection is hand finished, making your Industrial Chic Low Bookcase completely unique. 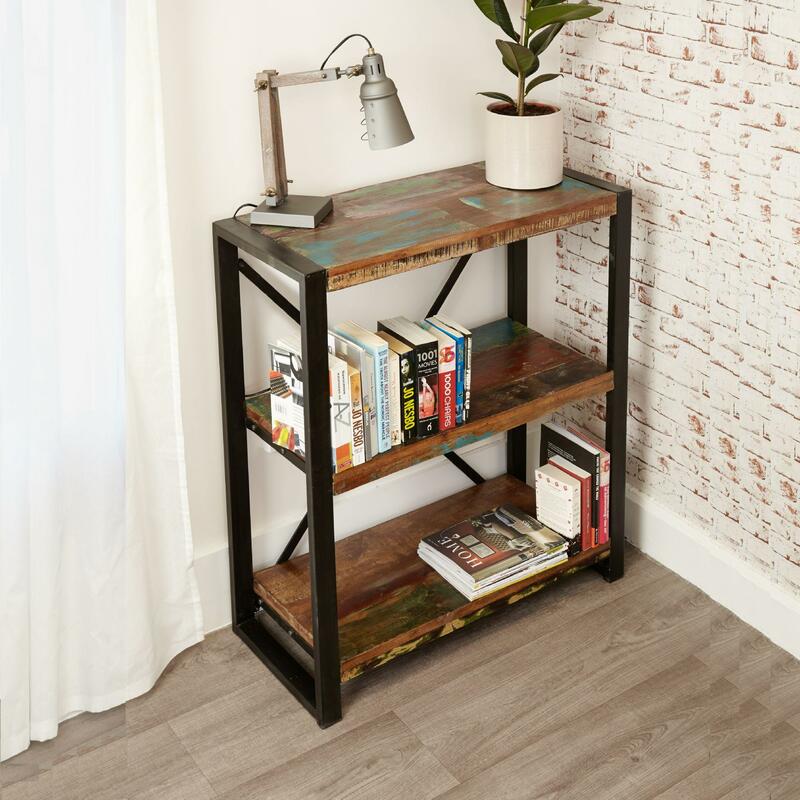 A beautiful outer frame made from steel gives the piece an ultra-modern 'industrial loft' feel and the wood is finished with a resilient satin lacquer.